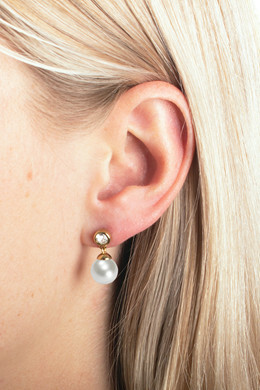 Super feminine studded earrings, in a shiny gold toned finish set with a white Swarovski crystal and a faux-pearl pendant. 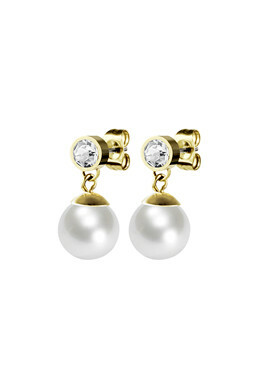 These earrings will be the perfect pair for any big occasion where you want to shine. With a butterfly closure.